The film is set in Lithuania after the Second World War. It shows dramatic events in a small Lithuanian farming community, where people are split between the Soviets and the "brothers in the woods", who are fighting to defend their land from the Soviets after the end of the Second World War. This is my first venture into original Soviet Union cinema and I'm less than impressed. What led me here was that Nobody Wanted to Die is advertised as a remake of Seven Samurai (1954). That right there is reason to give it a go. Trouble is I don't understand how it is. At all, there are no similarities whatsoever so I don't understand where the Seven Samurai storyline or even influence comes into it. Set in Lithuania after the Second World War it tells the story of 4 brothers who learn that their father has been killed in the conflict between the Soviets and the rebels. At no point is there protection from bandits or anyone else for that matter, this is not a remake of Seven Samurai and is blatantly using that as a method of reeling people in (It worked on me). Competently made though very dated for the mid sixties this dark bleak effort sadly has little to no payoff, is incredibly dull and makes Schindlers List (1993) look positively jovial. 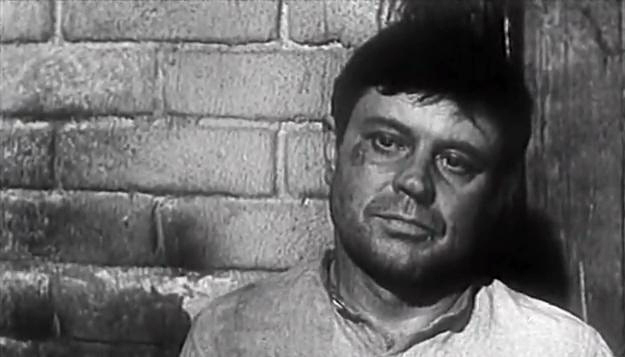 Certainly an immediate black mark from me for Soviet Cinema and an already poor cinematic year. Give unto god what is gods, wait what?! Sometimes to remake something you must create something entirely new One of the greatest Lithuanian movies of all times tells us about the cruel reality of Lithuania right after the World War II, when the country is occupied by the Soviet Russia, few, but strong guerrillas still resist in the woods, part of the population (mainly because of the fear of death or banishment) supports soviets, and as they say "a brother goes against a brother". Film is clearly pro-sovietic (it would be banned at those times otherwise), yet we can easily find pieces of symbolism, which indicates, that some moments are just a "forced art". Zalakevicius was one of the most talented Lithuanian scriptwriters and directors, and it shows. All of the scenes are superbly suggestive, sharp and artistical. All the actors (Adomaitis, Masiulis, Budraitis, Noreika, Banonis, etc.) look more than charizmatic, portraying exciting characters, precisely embeded in this 'macho' movie, at times called even Lithuanian "7 samurai". Haven't seen any of Lithuanian movies? At least watch this one when you have a chance.